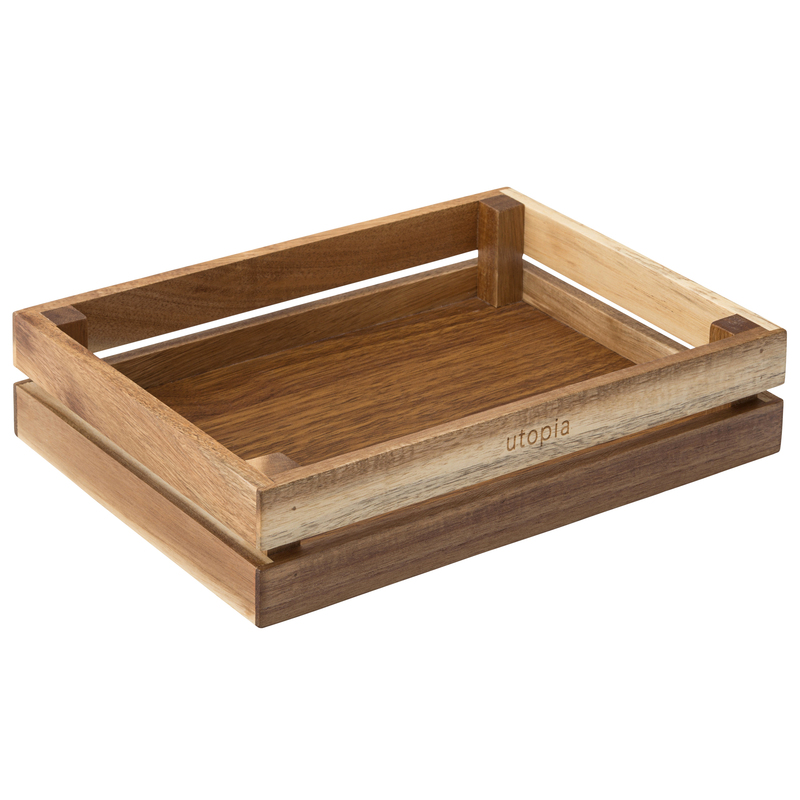 The perfect platform for a burger and fries combo, these Acacia Crates are ideal for an innovative yet causal foodservice. Simply line with presentation paper or wax liners and serve up creative dishes paired with ramekins! Made from solid acacia wood. Also ideal for displaying food, such as fruits or pastries.